University of Chicago researchers have discovered a link between sleep and artery health, after studying nearly 500 people for 5 years. People who slept only 5-7 hours nightly were almost twice as likely as those who slept longer to develop early blood-vessel damage that may lead to heart problems. 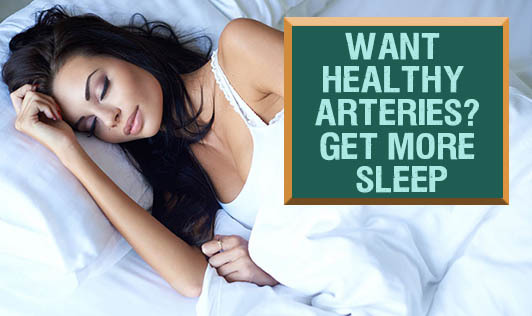 People who regularly slept 5 hours or less daily had a 4-fold increase in the risk of clogged arteries when compared to people who slept 8 hours or more daily. No one knows why this is true - yet - but researchers are looking into a stress hormone called "cortisol," which is reduced by inadequate sleep.